The EUR/USD currency pair continues moving upwards, it may reach a local target at 1.3280. Later, in my opinion, the price may start consolidating and for a reversal pattern for a correction. 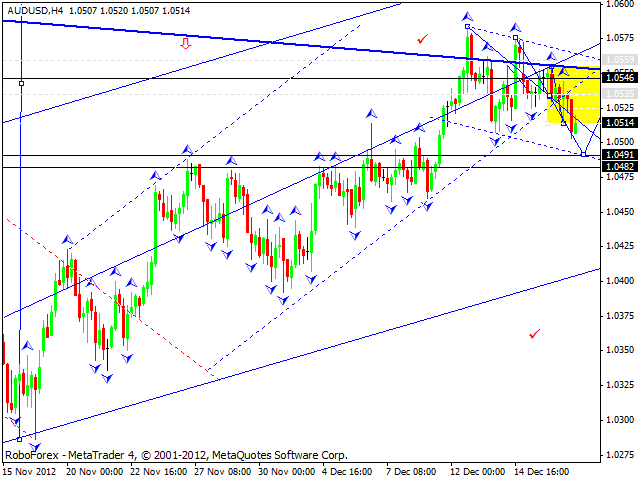 The minimum for this correction may be at the level of 1.0380. 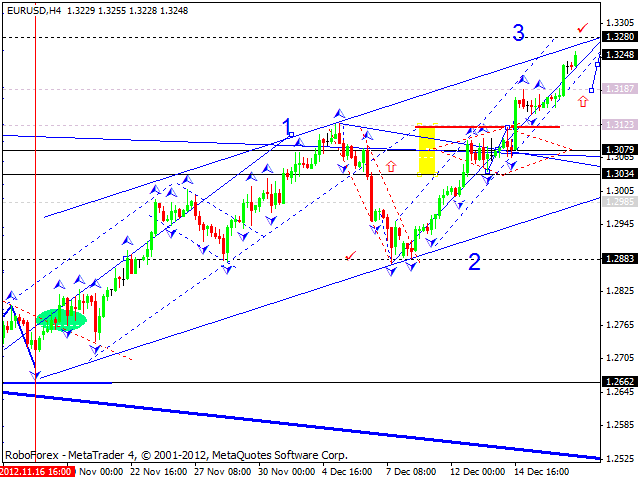 After completing this correction, the pair may start growing up towards the target at 1.3500. The GBP/USD currency pair continues moving upwards. The current chart structure implies that this wave may have already been finished, but the market hasn’t formed a reversal pattern required for the start of a new correction yet. Today the price may reach a new maximum and then start forming a reversal pattern. 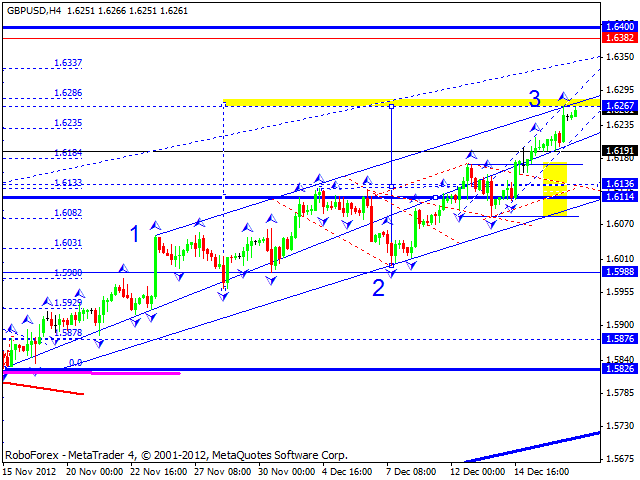 The minimum for this correction may be at the level of 1.6135. After that, in my opinion, the pair may start a new ascending structure towards the main target of this wave at 1.6400. 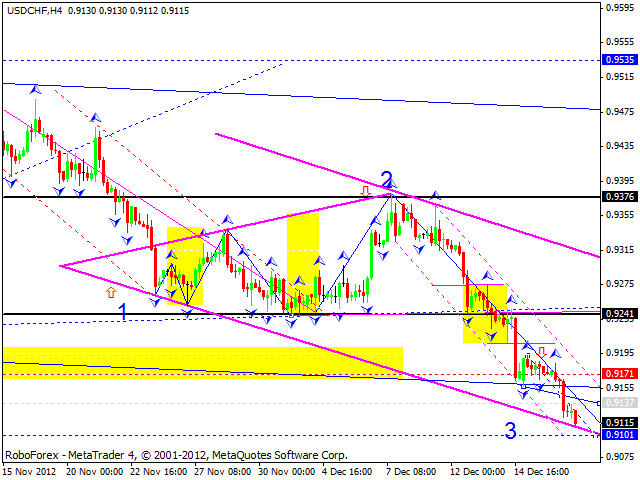 The USD/CHF currency pair continues moving downwards; the target of this wave is at 0.9100. After reaching the target, the price may start forming a reversal pattern for a new correction. The minimum for this correction may be at the level of 0.9240. Later, in my opinion, the pair may start forming another descending structure. The USD/JPY currency pair continues moving upwards. 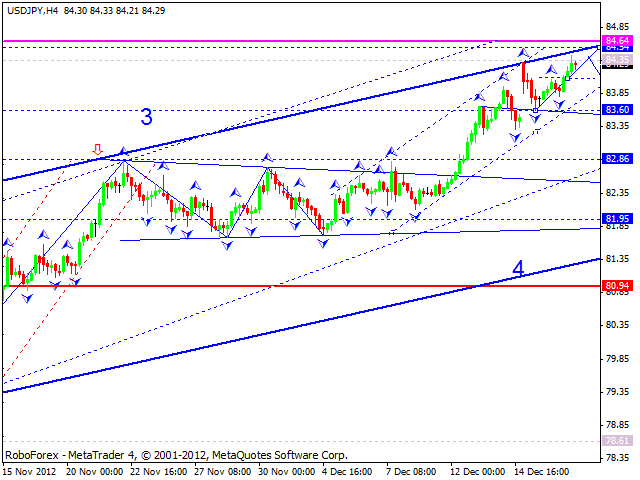 The price is forming the last structure of this ascending wave with the target at 84.60. After that I expect the price to start forming a reversal pattern for a new correction. The minimum for this correction may be at the level of 83.20, the maximum is at the level of 81.20. Australian Dollar continues consolidating in a downwards direction; the market formed a continuation pattern to start a correction. I think today the pair may reach the target at 1.0490, start a correction towards the 1.0560, and then continue moving downwards to reach the target at 1.0482. This movement will look like “flag” pattern; the structure of the pattern is corrective. After that, in my opinion, the pair may start a new ascending movement to renew the current tops. Gold continues moving downwards. 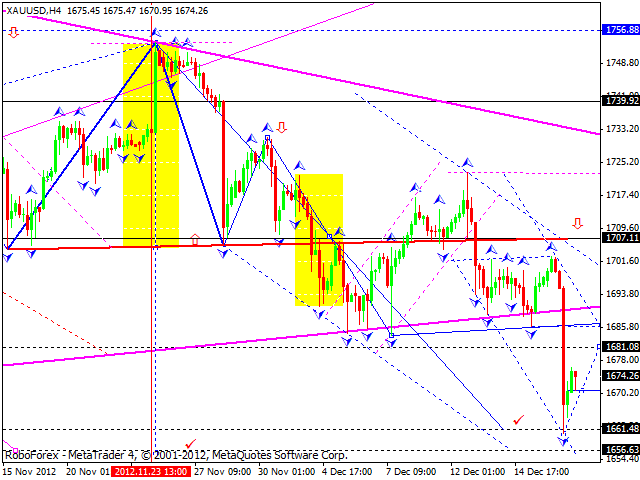 The structure of this wave at the H4 chart indicates that it night have already been completed. However, at the daily chart there is a possibility that the instrument may continue falling down. In my opinion, today the price may test the level of 1681 from below and then start forming a new descending structure to reach the target at 1656.